Create ringtones on Audiko.net! 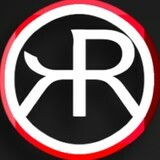 Just download a free Keiron Raven ringtones for your iPhone or mobile. Choose your favorite episode from your favorite piece of music - Skrillex & Rick Ross - Purple Lamborghini (Keiron Raven Rema, Rihanna - Sledgehammer ., Hailee Steinfeld & Grey - STARVING feat. ZEDD (Keiron Raven , or any other track. It’s possible to gain your tone both in the MP3 and m4a formats, played by both mobile phones and iPhones. Just select a track, and choose free Keiron Raven ringtones download option.